Pathological Science, Adjusted Temperature data, Statistical Fraud? Where is the taxpayer funded government agency rebuttal to these charges of manipulated data? WSJ: How bad is the government's science? Just after noon Saturday, the Freshwater Society and the Hennepin County Sheriff’s Office water patrol declared ice-out on the 14,500-acre lake, the largest in the metro area. This year’s ice-out date tied May 5, 1857, for late ice-out honors. That means roughly: coldest winter and latest spring in the Twin Cities (MN) in recorded history. Right after the coldest summer in Rochester MN last year. I wonder if LA who stole our basketball team will start calling them the Icers. I don't believe in anecdotal evidence of anything, just sick of hearing it - selectively - from the other side. Update: hERE IS ONE EXAMPLE I see a minute after posting that. Because it will be hot on one day in one place next week, a state will be unlivable by 2050. Note to idiot experts, without you people burning fossil fuels for air conditioning, IT IS UNLIVABLE NOW for the retired people who are moving there. 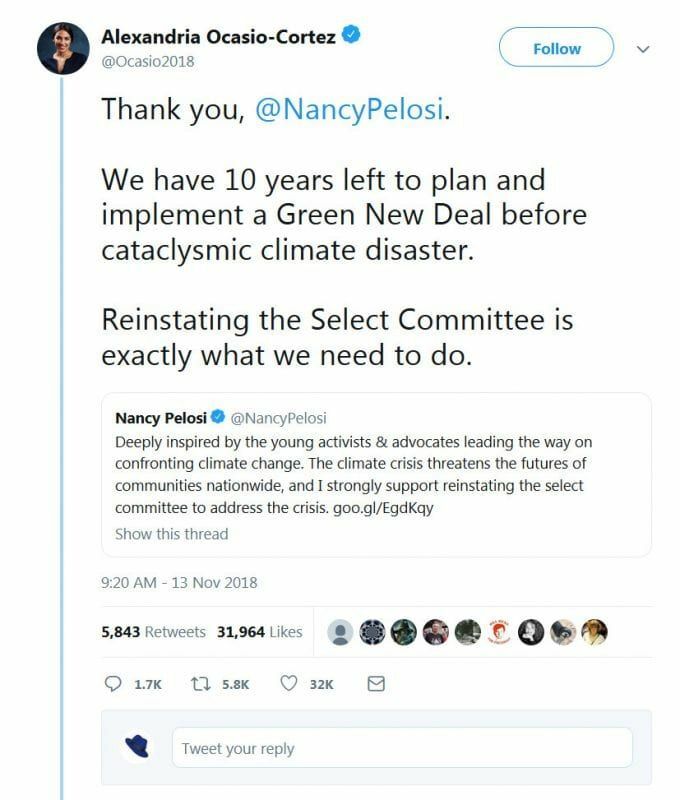 They are worried their climate change budgets will double. If climate change is warming, why don't they call it warming? But it's climate change if you have drought, torrential rain or extreme cold too. You can't prove them wrong, all bases are covered. We know exactly what's happening but need more money to study it. Pathological Science, Once again, drought is not caused by global warming! Drought is not caused by global warming IF global warming is caused by fossil fuel emissions. Combustion releases more H2O than CO2. It is indisputable math and science. The worry should be the opposite! "The culprit is human-caused climate change." The release of H20 into the atmosphere causes drought??!! Warmth may cause evaporation, but evaporation does not destroy water. Like flushing a toilet or running your faucet, it merely moves it around. Damming up a river to make a fake lake does not create water either. Combustion actually creates water. The drought crisis is caused by tens of millions of over-taxed and shivering northerners (and illegal immigrants) moving to areas that lack sufficient water. Maybe I'm biased with 130,340,400,000 gallons out my door and far more than that underneath in the ample aquifers. Living away from plentiful on earth is a choice. But, as the Washington Post editorial board put it, Trump is complicit. How to limit global warming to 1.5 degrees C instead of 2 degrees C.
Maybe we should have a world government agency manage the temperature of the planet and all of the activities that contribute to it. Leftist Utopia, what could possibly go wrong? Watch for future releases of the chapters not covered in the study, such as how much warming we would have had without humans and how much of the warming is contained in the adjustments to the data. Changing the limit from 2 degrees to 1.5 degrees will allegedly allow the oceans to rise by one tenth of one less. If this was math or science, the professionals would include certainty level and margin of error with that type of statement. Man-made hurricanes. Funny that my grandpa knew about hurricanes when he bought us East Coast Florida property 75 years ago. But these victims caused this hurricane. Elections have consequences and professional journalists thoroughly research their topics before going to print. Reap what we sow, "Victims of Hurricane Michael are represented by (voted for) climate deniers". What is a "climate denier"? Same wordsmiths who think killing your young is a "choice" and government paying your housing cost is "affordable housing". Just rewatched part of this silly movie last night. Totally forgot the dire warnings we had back in the early 90's. Pathological Science: Are we still "measuring" climate with "adjusted" data? and we are supposed to just believe the results. I really don't believe most if not any of them. Anyone can make the date come out any way they want. how many are and are not I really don't know. I could believe the 25 % estimate from this study would be a good guess. I did not renew my membership in the American College of Physicians this year # 1 because of their political correctness #2 because many of their studies were nothing more then datan analyses of other studies and not worth the toilet paper I wipe my behind on . - Freeman Dyson, one of the world’s most eminent scientists. Dyson, a theoretical physicist and professor emeritus of Mathematical Physics and Astrophysics at the Institute for Advanced Study in Princeton, is famous among other things for unifying the three versions of quantum electrodynamics. In the very early days of global warming (late 80s - early 90s? ), before climate science merged with anti-capitalism and became a religion (all together now, "I Believe! "), I saw a disturbing headline about a study out of NCAR, Boulder Colorado, the National Center for Atmospheric Research (who knew we had one back then?). Without remembering exact details, the news story made a new and bold claim about warming and human causation. My reaction included some skepticism so I looked into it, got my hands on the entire report and read it. As I read through I discovered some things one step at a time. The news story was more sensational than the actual title page of the report. The title of the report was more sensational than the conclusion in the report. The conclusion was more sensational than the summaries of the sections referred to in the report. And the summaries of the sections were more sensational than the actual analysis of the data written by the scientists in the detail of the report. In short, the news story was not backed up at all in the scientists' analysis of the data. In 'journalism' it is known that the headlines are not written by the writers of the story. I suddenly realized this was also true inside of so-called scientific reports. The scientists studying this data did not write the summaries, the conclusions, the titles or the press reports. Something else was going on. someone was driving a narrative, not reporting data or science. Somebody wanted that headline and worked their way backwards to pretend it was backed up in the study. Criminal fraud IMHO. It bothered me deeply that I discovered all that only because I invested all that time digging in thoroughly. No one else was going to hear or know of the falsities and deception. Others, even the scientists whose work was butchered, never spoke up or objected, apparently liking and embracing the shock appeal of the headline. Research dollars and prestige to the work they were doing exploded with the new mission and no honest voices objected. I like that we expose the deception and misuse of science here. That is an interesting distinction between the researchers and the writers of the headlines and summaries. Like Russian collusion without a Russian, we have extreme damage from global warming without the warming. I can't for the life of me find the part where they say the opinions expressed here are those of the author only. Nor can I find where they even label this bunk opinion. If it refutes global warming it is anecdotal and if it affirms it, it is proof. Yes and I was thinking that if the number of tornados was going up the title and everything in the article would be global warming . But since the count is down, one would think a good thing suddenly there is ZERO even a mention of it. Global warming is bringing ice and snow to Vegas, just like Al Gore predicted! "Global warming is bringing ice and snow to Vegas, just like Al Gore predicted!" Ski resorts in the Austrian Alps reported up to seven feet of snow in the first days of January, which lead to many resorts closing amid safety fears. 10 feet of snow in one week in places. 'Your children and grandchildren may never see snow.' Oops. accelerating like a “speeding freight train,” as one scientist put it. Does a speeding freight train have high or low acceleration? Just curious. And what kind of 'scientist' doesn't know acceleration from velocity? Reminds me of Al Gore and the "explicit implication". Blah, blah blah! For all the bunk they never tell us how much the earth has warmed in the last hundred years in unadjusted data and what part of that warming is demonstrably attributable to the cause they are suggesting. So there is zero evidence for the ABC's claim that Kiribati is sinking, but there is plenty of evidence for the opposite - that such low-lying atoll islands are not sinking, but growing. A reanalysis of available data, which cover 30 Pacific and Indian Ocean atolls including 709 islands, reveals that no atoll lost land area and that 88.6% of islands were either stable or increased in area, while only 11.4% contracted. Record cold is an unexpected consequence of global warming. High of -15 with sunshine! How helpful is that? What does -52 'feel like'? Doug asked : What does -52 'feel like'? Re: Doug asked : What does -52 'feel like'? We have a trick to avoid that, wear clothes. And burn fossil fuels! Well, if it weren't for global warming, it would be -100! "We have a trick to avoid that, wear clothes. And burn fossil fuels!" and probably hunt for arctic animal skins! I remember buying one of those alpaka pillows at the Disney store and within 5 minutes or putting my face on it I had sweat dripping down my neck. along with the phobias me too lexicon we now have to have shoved in our facies this phrase "polar vortex"
We have always been at war with Eastasia global warming the POLAR VORTEX! I gather this is the coldest it has been since 1985? I note that now temps are reported including "wind chill" factor. Better click bait effect? OTOH I must say on an intuitive level I'm beginning to wonder "WTF?". Windchill or 'realfeel' is the temp exposed skin feels. They do use it for shock appeal but in the very extreme weather there is a very real life and death aspect to it. Convincing people to stay home saves lives. I agree wind chill numbers are highly relevant. My only point in this moment however is that, IIRC, when I was younger, the wind chill number was not the primary reported number and now it seems to be and that this heightens the perception that things are different this time. Agree, same for 'heat index'. Interesting that the extreme cold doesn't fit the preferred narrative but they can't stop themselves from dramatizing it. I can say from a MN perspective, people talk windchill only when it allows you to say 'below zero'. When temp or windchill is below zero, everyone around you is experiencing something of challenge and you need to check in on your more vulnerable friends and family. It is +44 C in Melbourne today, 111 F, and when we have extreme heat across the US, you can always find extreme cold somewhere else on the globe. Amazing how adaptable the human body is to temperature fluctuations even if we can't handle full exposure to the real extremes. The deaths certain to happen from cold today are because of extremely cold weather, not global cooling. When they report extreme heat or drought it too often gets labeled 'proof' of catastrophic, human caused global warming. Now we find out the California wild fires were ignited by public utility failures? -28 F and clear here this am, not figuring windchill. Newer high efficiency furnaces, now mandated, are less reliable than older simpler types. Condensation from the combustion process freezes in the exhaust pipes, wind blown snow clogs them from the outside and then the pressure switch shuts the furnace off and doesn't allow it to restart. Power outages were reported over night as grid equipment fails and natural gas furnaces won't work at all without electricity. Cell chargers go off with the power and people don't have landlines anymore. Drive to safety but car batteries lose 70% of their power, all the old ones fail and the viscosity of motor oil can turn to sledge. Moisture freezes in fuel lines, tires lose pressure and salt is ineffective with ice on roads. Furnace (and car) repairmen are fully booked up, stores are closing early and shelters are full. What could possibly go wrong? I posted the peaceful frozen lake picture to note that our extreme weather, if you are fully prepared for it, is not as bad as other things like being in a hurricane, tornado, earthquake, monsoon, forest fire or beneath a volcano. Tell me again about half a degree per century of warming; I wish I could live long enough to fully appreciate it. Just like Al Gore predicted! Just like Al Gore predicted!" Gore is probably chasing 20 something girls around his private jet laughing hahahahahahhahahah. Yes, like they say in Antarctica with its increasing ice mass, global warming causes more snowfall because [Las Vegas?] would otherwise be too cold to snow. ?? When do they update their Orwellian misdirection and erase all previous explanations? Global warming caused California forest fires - on every network - although 95% are human started and 2000 of them over the last 3 years were caused by utility lines. Re: Pathological Science, How did YOU get here? More global warming snowstorms hit Vegas. Re: Pathological Science: WHEN DOES IT END? I'm trying to make some plans here but I can't figure out how many years we have left now. Am I taking them too literally here? If the world like ends, did it end or not end? And their main complaint with Trump is that he is inaccurate and imprecise! 58% of millennials believe this is the most stressful time to be alive, ever! Is it global warming? Nope. Of the very top stressers affecting an entire generation, experiencing slow wifi is number 6, not having your cell phone charger is number 10. Global warming and fear of getting raped on campus do not make the top 16. Day three of major winter snowstorm blanketing the midwest - in mid-April!. If this was record warming the story is climate change and global warming.